OKLAHOMA CITY – State Rep. Mark Vancuren, R-Owasso, this morning won unanimous passage of a bill that will prohibit vapor products on school property in the House Common Education Committee. Senate Bill 33, authored by Vancuren and Sen. J.J. Dossett, D-Owasso, modifies the 24.7 Tobacco-Free Schools Act. The committee passed the bill 16-0. It is now eligible to be considered by the entire House. 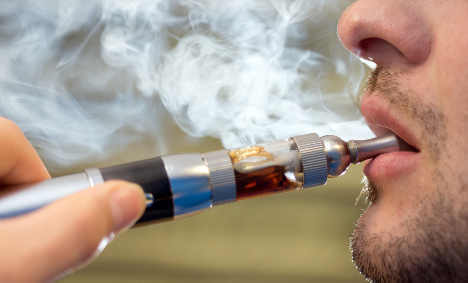 ever used e-cigarettes had used marijuana in e-cigarettes.